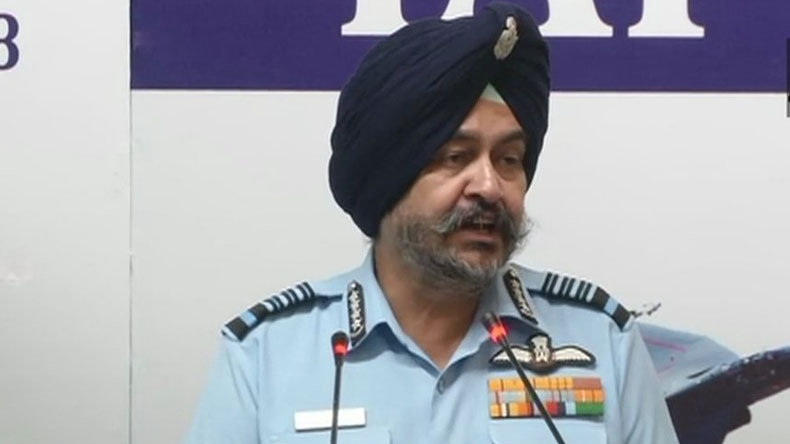 Indian Air Force (IAF) BS Dhanoa on Wednesday backed the Rafale deal and said the fighter jet is required to thwart attacks from two nuclear-armed neighbours. Reposing his faith in the combat capabilities of the next generation Rafale fighter aircraft, Dhanoa said the NDA government’s decision to procure French Rafale fighter jets and Russian S-400 air defence missile system will help to fill the gap in IAF’s combat capabilities while the state-of-the-art fighter jet will counter the shortfalls of our depleting numbers. Congress President Rahul Gandhi has repeatedly accused the Modi government of massive irregularities in the Rafale deal, alleging the government was procuring each aircraft at a cost of over Rs 1,670 crore as against Rs 526 crore finalised by the UPA government for the procurement of 126 Rafale jets. Rahul had read excerpts from the joint statement by Modi and Hollande that had been issued in Paris in April 2016 and straight up accused the PM of lying. Dhanoa said IAF doesn’t have the required numbers against a sanctioned strength of 42 squadrons. Currently, IAF is down to 31 and even when it gets 42 squadrons, it will be below the combined numbers of Pakistan and China. Earlier, the IAF had dismissed Rahul Gandhi’s claims of a “scam” in the Rafale deal and said the Modi government’s deal is 40 per cent cheaper than the Congress deal, which was being negotiated since 2008 and could not be completed. In an interview to India Today, the Deputy Chief of Air Staff Air Marshal also said that Rafale is the best fighter jet available in the market today and will help in establishing the supremacy of the IAF over the skies of the subcontinent.